Now, how brazen, or maybe just plain incompetent, is this? Economic Crimes Division. The same Economic Crimes Division that investigates firms like the FDLG? What is it that William Black said? 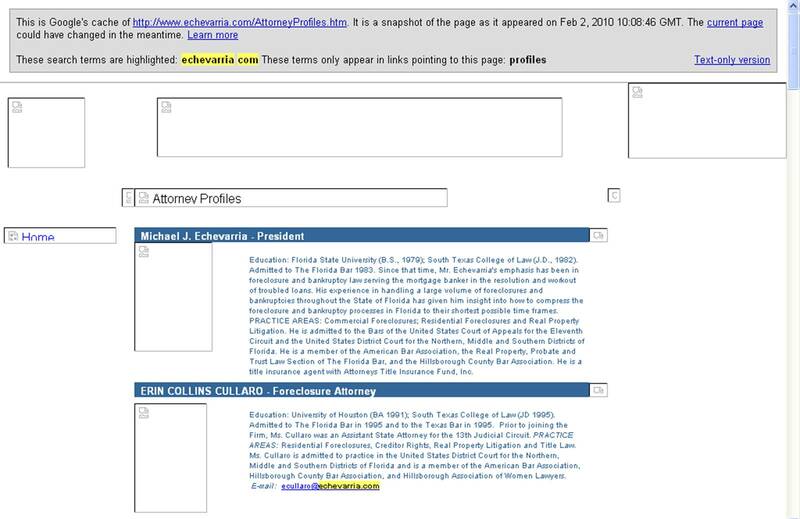 The public records request also revealed that Ms. Cullaro completed a “Request for Approval of Dual Employment” (From the Florida Attorney General’s Office) in which she certified that her secondary job notarizing documents “does not create a conflict of interest (as specified in Chapter 112, Part III, Florida Statutes) nor the appearance of impropriety…” Ms. Cullaro’s dual employment was limited to Mondays, Wednesdays and Fridays between 7:00 p.m. to 7:15 p.m. 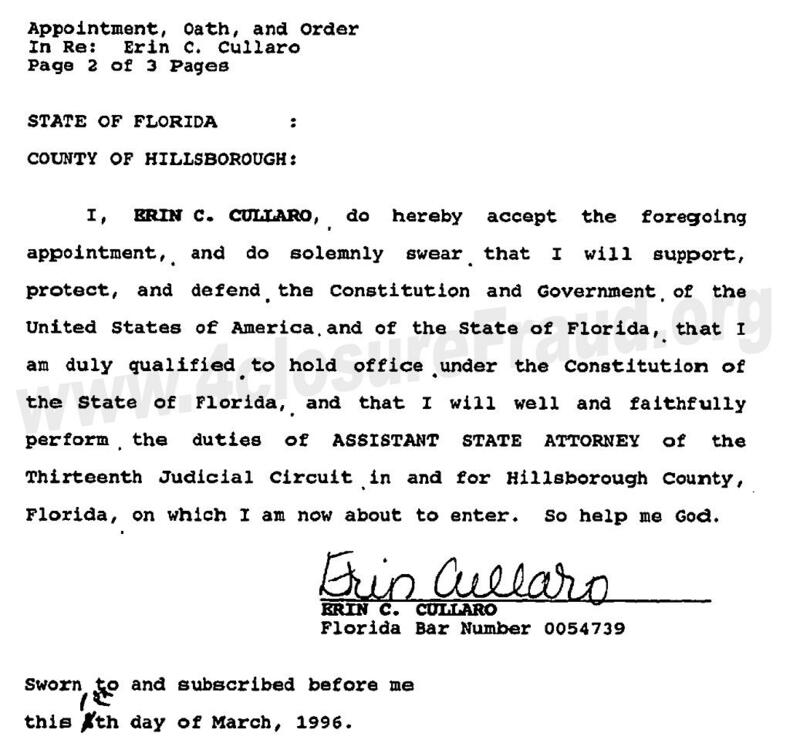 Defendants proffer that they will show affidavits executed on days other than those approved by the Office of the Attorney General and that travel records suggest that Ms. Cullaro would have not been present in Florida on the date and time that an affidavit was notarized. So which signature is really Erin’s??? With that said, there are pending requests for depositions of these individuals, but their attorneys are fighting like bloody hell to not let them happen. Reason being? They pull the affidavits when questioned so their theory is, why depose someone that is not relevant to the case anymore since we pulled the affidavit. Kind of like when a shoplifter gets caught walking out of the store with some merchandise, then trying to give it back promising never to do it again to avoid being prosecuted, right? Knowing what we all know, how can these affidavits still be allowed to be filed in the courts across this state to disposes people of their homes??? How can these affidavits be allowed while there is an internal investigation within the attorney generals office being conducted on these practices??? How many of these affidavits are in files that have not been submitted yet??? How much longer will the people put up with all of the frauds that are being perpetrated by these foreclosure mills, in which the courts are allowing, before they take matters into their own hands??? Guess it is time for this homeowner to send out their request to depose these nice young ladies. Why run and hide if you have done nothing wrong? Florida Default Group file papers for foreclosure, I just went through all the paperwork and they never went to court in three years, they scheduled three court dates and cancelled them and my original mortgage is lost. What they sent me was notoraized by Lisa Curallo and one is notarized in South Carolina???? They scheduled a foreclosure sale date in December 2010 and they cancelled the sale only three days before it was to happen. All this time I have not heard from Wells Fargo my mortgage company. Now I receive a letter from the Florida Default group telling me my house had been sold and that I had 90 days to move out of the house. Then I get a letter from some Mortgage Company telling me that I had to pay the difference between the amount the house was sold for and the amount of the mortgage. MY HO– USE WAS NEVER SOLD!!! It appears in court records under my husbands name in the meantime Wells Fargo has cancelled my homeowners insurance and have not been able to cancel my flood insurance because they require the copy of the foreclosure sale. THERE WAS NO FORECLOSURE SALE!! Mean time I pulled all the court records and the Fla Default group scheduled three court dates in three years and cancelled them all. They never went to court and I have been trying to work out a loan modification and have sent Wells Fargo probably 25 times information on my financial situation and I have not received a response. Now they are claiming that I abandoned the house, I AM HERE!!! and I have been paying my homeowners association fees. I have copies of electric bill, water bills for the entire time this charade has been going on, my house has never been abandoned and it is in perfect condition, my pool is clean, my yard is mowed and my hedges are trimmed. I am in LIMBO what do I do now? But I resent the fact that Lisa Currallo notarized papers saying my house had been sold at auction and for me to get out of the house!!!!!! Why is the state attorney not doing something about this, I called them and they told me to file a complaint, well I have done that several times and have received no response. Is this a nightmare or what????? A couple of other things came to mind: one is that the last name of the affiant and the notary are the same; are they related. Isn’t there a problem with that? 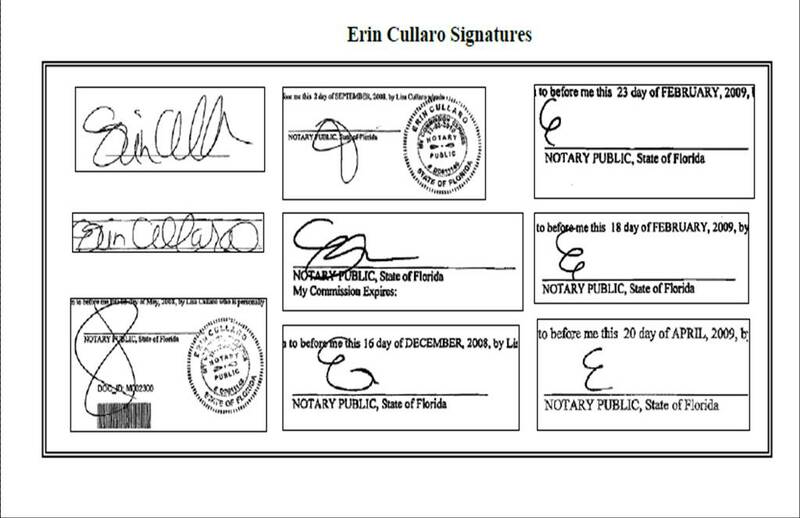 Also, I can’t believe that the “E” on the notary siganutre matches Ms. Cullaro’s official signature on file with the state. Didn’t Bryan Bly just get into trouble over that?